Some women mistakenly believe that we are interesting to men only in terms of banal physiology. Hormones, excitement, reflexes at the sight of a woman might provoke men, but is it worth comparing men to animals? There is not only lovely faces and seductive bodies that men are looking for in women. You need to have particular traits of character and behave appropriately, in order to make a man stay with you. What does it mean to behave appropriately? Today we will try to figure that out. 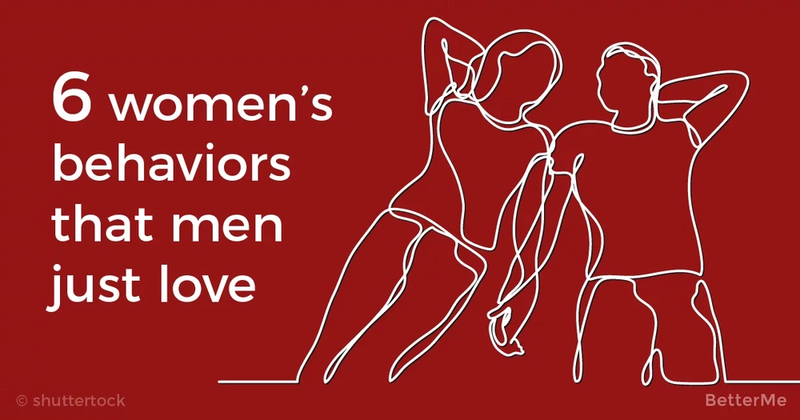 Check out 6 women’s behavior that men just love. Hopefully, it will help you to build strong and long lasting relationship and be happy with your man. #1 Men love support. Males can also sometimes experience weakness, so they like it, when women appreciate their intentions and help in solving problems. If your beloved one has troubles at work, show that you are on his side. #2 Men love recognition. Every person needs recognition. Does your man work on something, without ceasing? You should express an admiration and show him that his efforts are not in vain. #3 Men love communication. If a man finds his only one in you, this does not mean that he no longer needs a secular life, and he will become a homebody. Your beloved is interested in communicating with other people and he will be happy, if you join him. Become his friend and join his company. #4 Men love their freedom. Men understand that with the advent of a beloved woman, their life will change. However, do not make your chosen one sacrifice his life for you. Do not be afraid to give people what they love. Men appreciate mutual understanding and are ready for the sake of the beloved for any feats. So, don’t tie a man to you. #5 Men like independent women, so become such a woman. In fact, men like strong and confident women. Because the power itself is sexual, and multiplied by femininity and beauty, it becomes an impeccable weapon of seduction. #6 Men like intelligent women. You should be the one, who can give him advice and have a conversation on any topic.